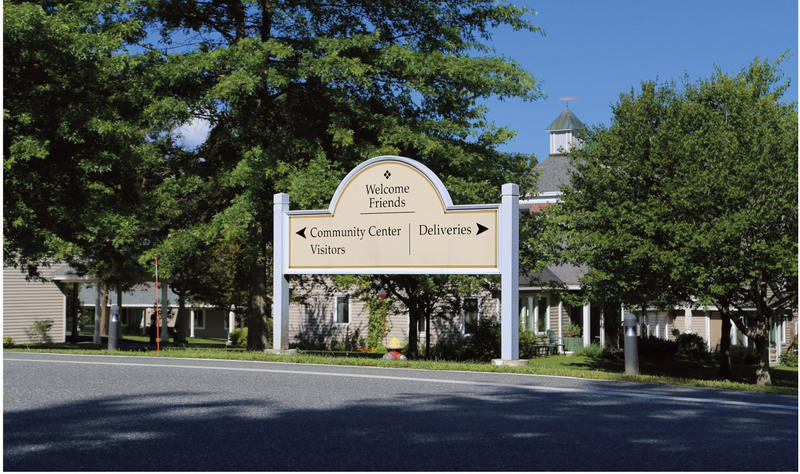 ​Charles Gibson Design has completed the design of a comprehensive exterior environmental graphics program for Kendal at Hanover, a continuing care retirement community. The new program updates the color, typography, style, and construction of the signs designed by CGD for Kendal in 1991. Fabrication, by Design Signs of Essex, Vermont, began in the fall of 2012, with installation of all signs completed by spring of 2013. As part of an ongoing relationship with Kendal at Hanover since its opening in 1991, CGD has also designed interior “activity room” signs, directional signs, and modular notice displays, as well as an identity program with print collateral.